WiiWareWave's owner Rukiafan had the opportunity to talk to Edward Di Geronimo Jr. from Saturnine Games about Turtle Tale and more! This is what they had to say during the interview. Hello! Thanks for taking time out of your busy schedule to answer some of our questions! 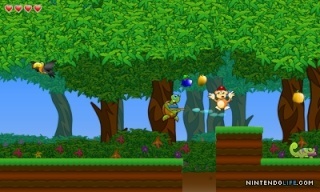 How were the sales numbers for the 3DS version of Turtle Tale? How are the Wii U sales numbers of Turtle Tale when compared to the 3DS sales numbers? I can't go into detail, but sales are in the general ballpark that I expected. Sales are higher on 3DS. The Wii U version is selling well enough that it was worth doing both versions. 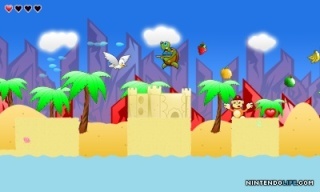 How long did it take your team to port Turtle Tale from the 3DS to the Wii U? It took about a week to get the core of the game working. Getting the game to release quality was about a month's work of work. After that, it took a few months to deal with ratings, lot check, and the other odds and ends that need to be done. 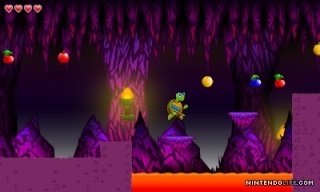 What games were your inspiration for Turtle Tale? In an indirect way, it was inspired by our last game, Antipole. We went into that game with the vague idea of manipulating gravity, and spent a while figuring out exactly what that meant and how to make a game around it. When we were done, I wanted to try something where I could nail down the basics at the start and see where that took me. From there, I looked a lot at NES games for ideas. Do you have any future plans for game releases on the Wii U or 3DS? constrained by a small budget? I'd like to make something along the lines of Super Metroid or A Link Between Worlds. I'd have a big open world that you could explore, and you'd have freedom to wander off where you wanted to. There would be lots of power ups to find to open up the world further. Could you tell us a little more about your company? I started Saturnine Games back in the DS era. I've released two games before Turtle Tale. My first game was a space shooter called Cosmos X2, which was released on DSiWare. That was followed by a gravity manipulation platformer called Antipole, which was on DSiWare, PC, and Xbox Live Indie Games. I also work as a freelancer in the game industry. I've worked on a wide variety of games for many different platforms. Some of the more notable games I've worked on include Sportsfriends for the PlayStation 3 & 4, Microsoft Solitaire Collection for Windows 8, and Glow Artisan for DSiWare. Let us know your opinions in or comment section below! Thanks for posting my interview with Saturnine Games @Akatsuki! Great interview! WiiWareWave needs exclusive content! Cosmos X2 was a fun DSiware game.